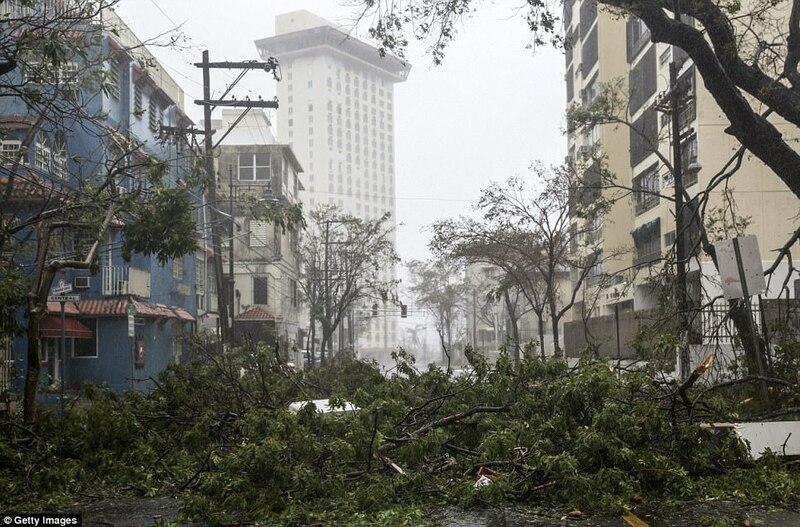 Hurricane Maria Blasts Through Puerto Rico Leaving Island in Darkness – Coercion Code – "Dark Times are upon us"
Puerto Rico may be without power for months after Hurricane Maria hit the U.S. territory with powerful winds that downed trees, ripped the roofs off homes and turned roads into rivers with flash flooding. 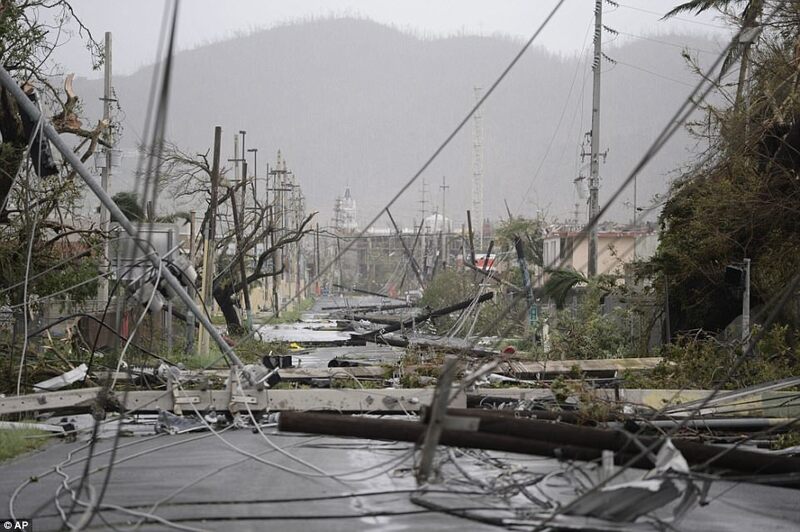 He said that as a result of the powerful Category 4 hurricane, no one on the island has power from utilities since the power grid is ‘a little bit old, mishandled and weak’. 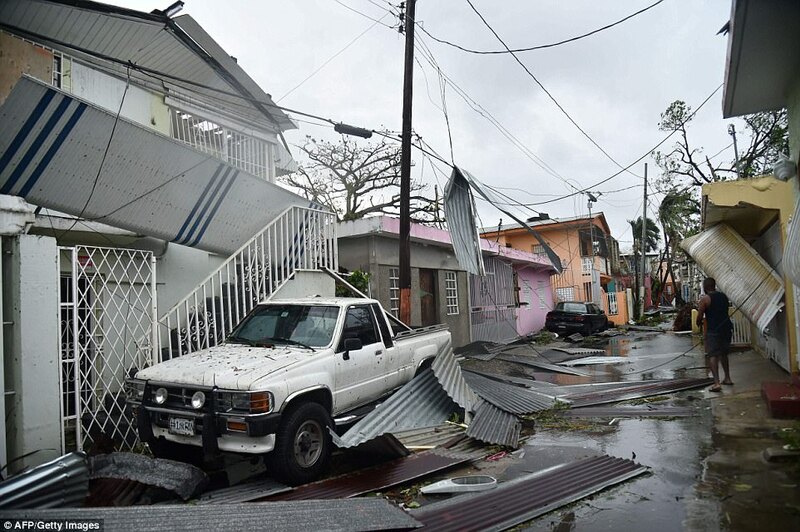 The exact impact of Maria won’t be realized until authorities can do a flyover on the island to see what remains and what has exactly been destroyed. 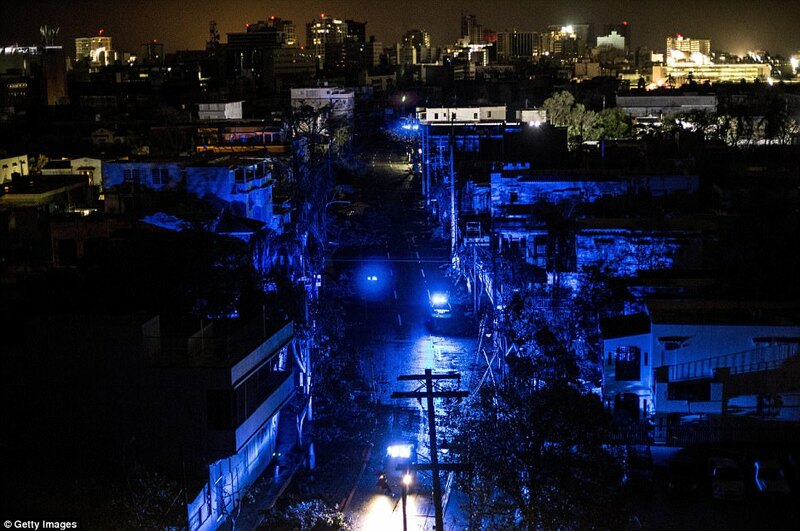 Rosselló said that if transmission lines are in better condition than thought, than power outages could be fixed sooner. 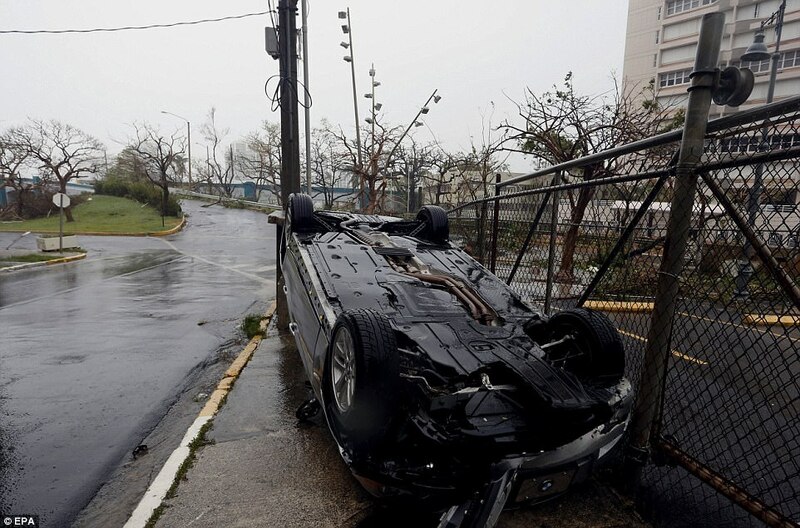 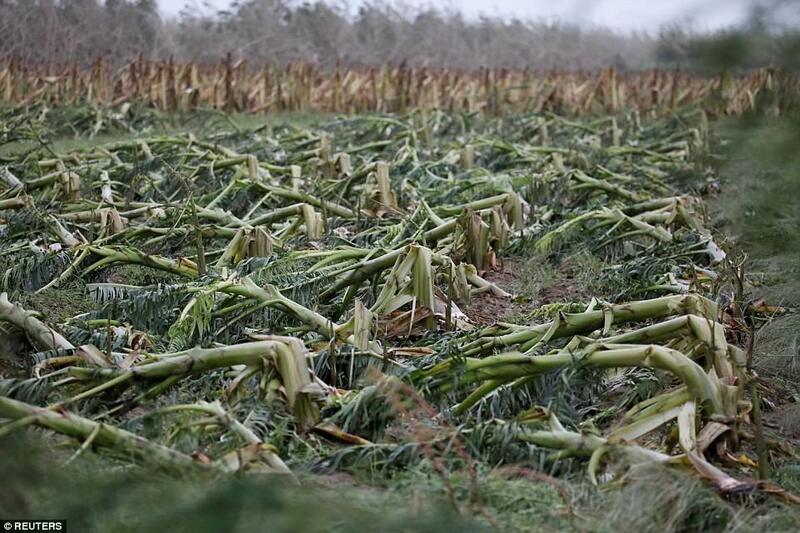 Rosselló also said that at least one person was killed in the storm on the island when a board was ripped from a house it had been nailed to and hit a man. 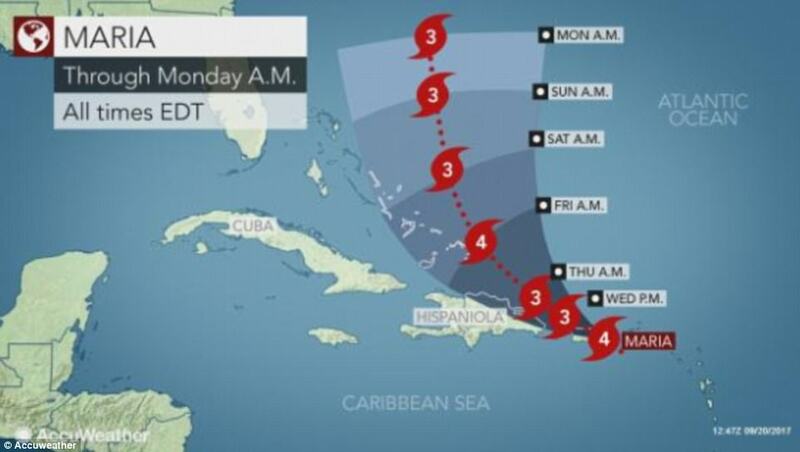 He said that the number of deaths could increase in the next few days. 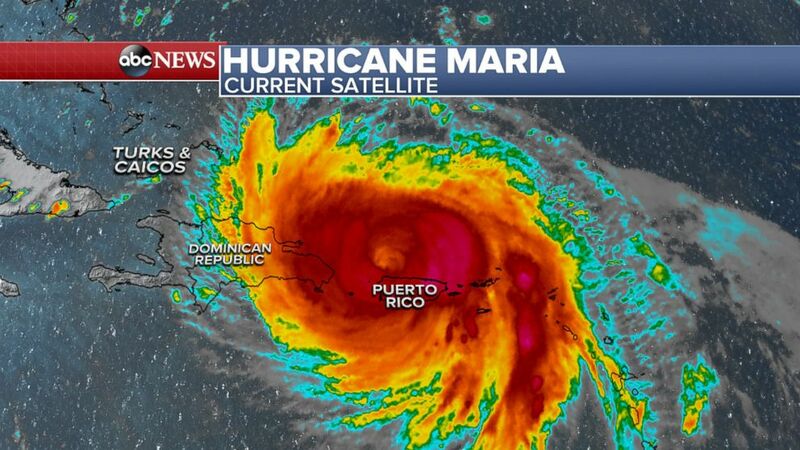 More than 10,000 remained in shelters Wednesday night as the governor has imposed a curfew on the island from 6pm to 6am beginning Wednesday and ending on Saturday morning. 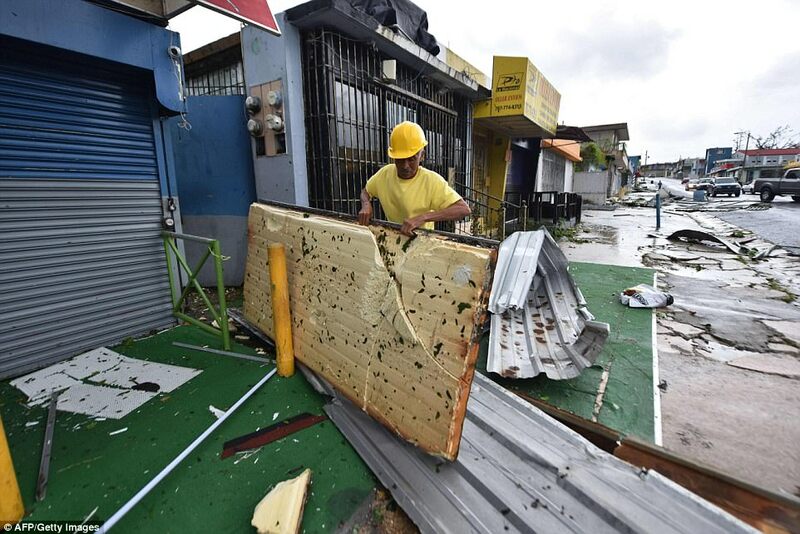 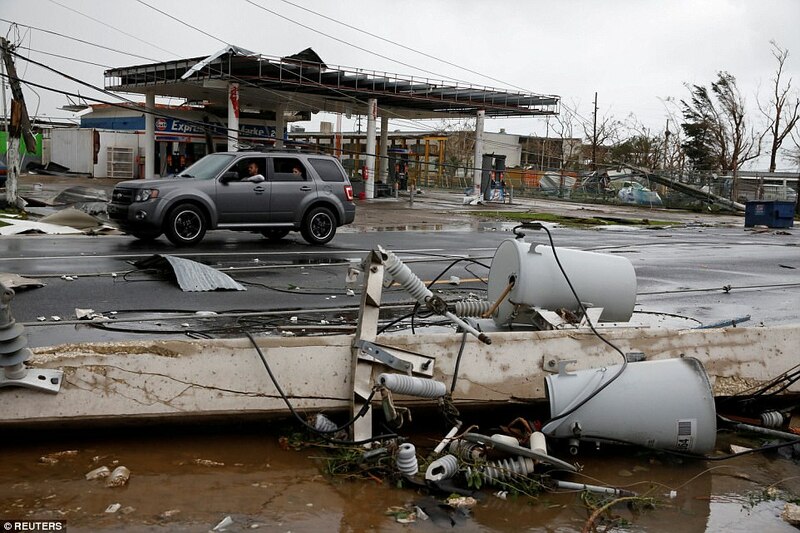 Search and rescue teams began taking to the streets of Puerto Rico, which has a population of 3.3million people, after the storm weakened to a Category 2 and heads for the Dominican Republic. 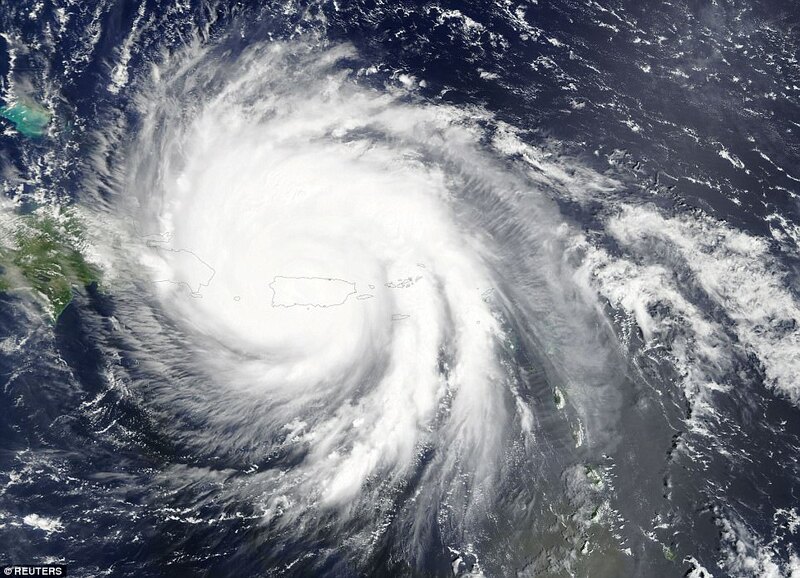 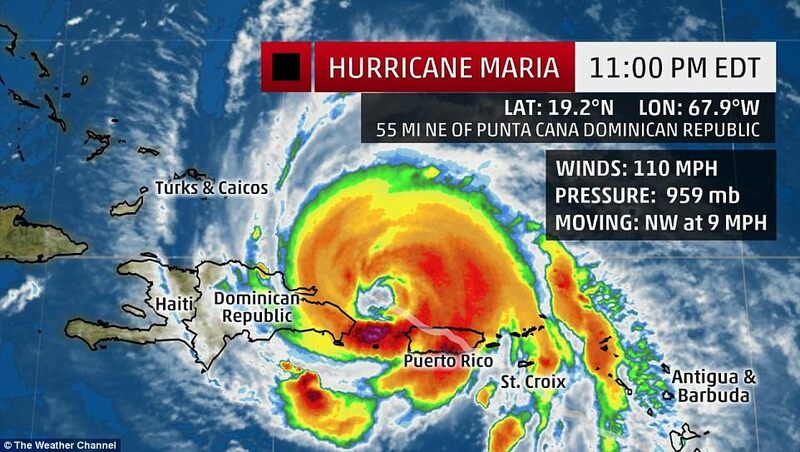 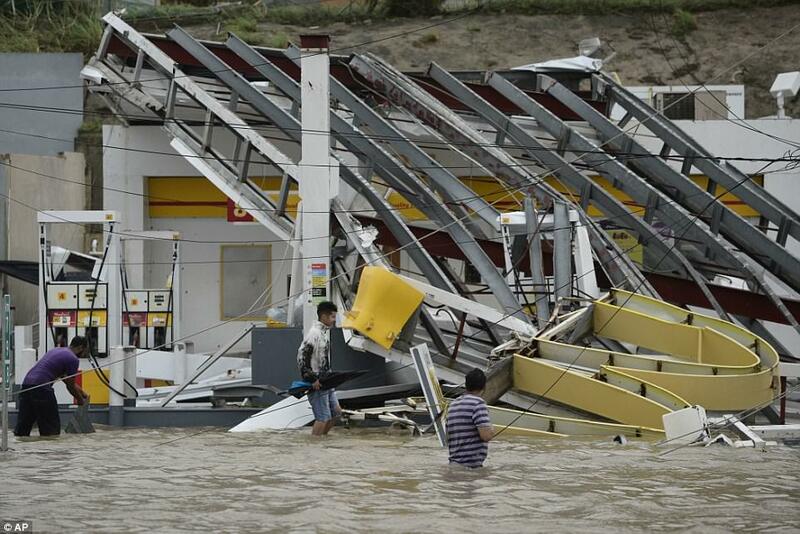 This is the strongest hurricane to hit the island in more than 80 years.